Sri Tirumalai Krishnamacharya, who lived to be over 100 years old, was one of the greatest yogis of the modern era. World-renowned yoga teachers B. K. S. Iyengar, Pattabhi Jois, and Indra Devi studied with Krishnamacharya; it was through Krishnamacharya’s teachings that many of us in the West today practice the yoga we know. Krishnamacharya’s son T. K. V. Desikachar studied with his father all his life, with his teachings authentically and whole-heartedly embodying Krishnamacharya’s. Desikachar has based his method on Krishnamacharya’s fundamental concept of viniyoga, which maintains that one’s yoga practice must be continually adapted in order to achieve maximum therapeutic value. 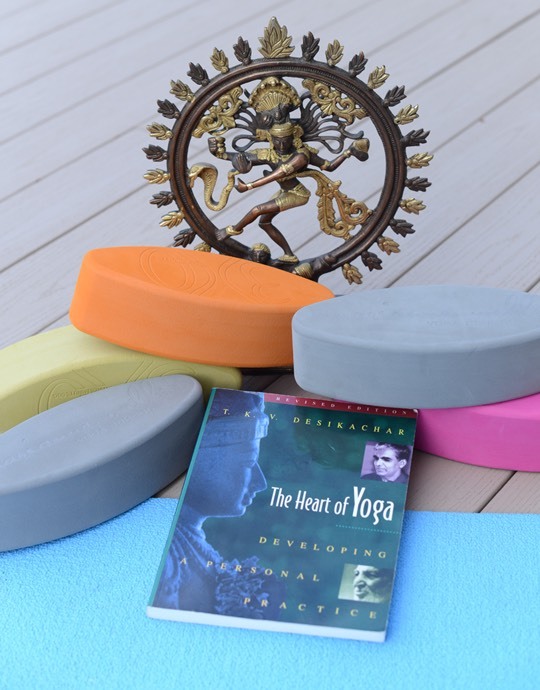 Desikachar’s teachings are described as “a program for the spine at every level–physical, mental, and spiritual.” This is the first yoga text to outline a step-by-step sequence for developing a complete practice according to the age-old principles of yoga. Desikachar discusses all the elements of yoga–poses and counterposes, conscious breathing, meditation, and philosophy–and shows how the yoga student may develop a practice tailored to his or her current state of health, age, occupation, and lifestyle.